Blake is the founder and operator of On Call Junk Haul. He started the business in 2014 with one truck and a couple of guys that shared his vision for creating a new kind of junk removal business with a revolutionary customer experience. Blake graduated from Oklahoma State University in 2008 with a Bachelor of science degree in Business Management. 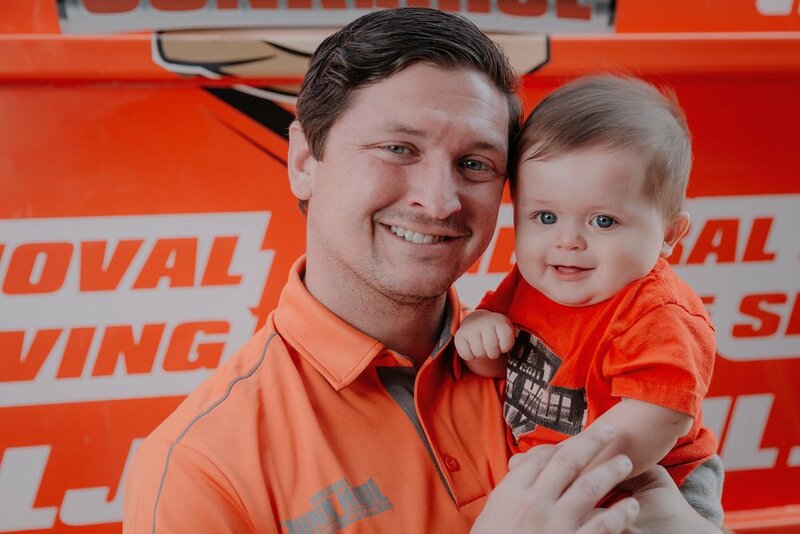 He has had 8 years of customer service experience in a corporate setting, which has now overflowed into his successful junk removal and moving business, in which he has created a great team of employees and amazing opportunities for growth within the business. Blake lives in Edmond, Oklahoma with his wife, Caylee, and sons, Beckett and Baker, and regularly attends and serves at Life.Church Oklahoma City Campus. He has had active involvement in the community through his business, becoming a member of the Greater Oklahoma City Chamber of Commerce, Edmond Chamber of Commerce, The GoGivers, and partnering with non-profit organizations with the goal of giving back to the community to serve those in need. Blake believes that nothing should go to waste as long as it still has life, and for him this means donating furniture, clothing, and other items to a community in need of these things, instead of sending them to a landfill. Today, he is overseeing operations of the company and seeking expansion to continue spreading his vision across the nation.